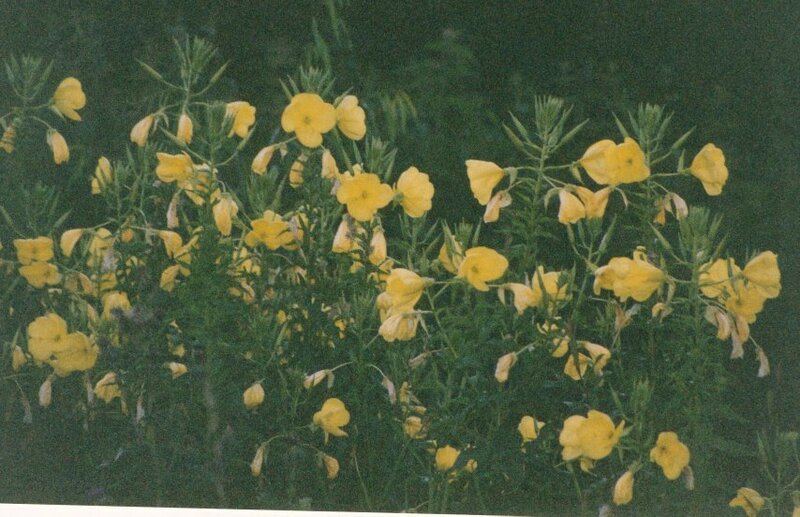 Oenothera spp. 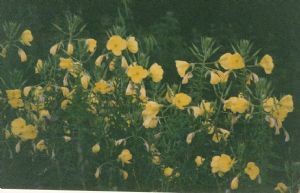 This tall, large pale yellow flower opens in a spiral at dusk - and then releases its perfume to attract moths that are its polinators. So if you plant it next to your patio you can enjoy it when you sit outside on a summer's evening with your G&T after work! As it attracts moths it will also attract bats that feed on them to your garden.